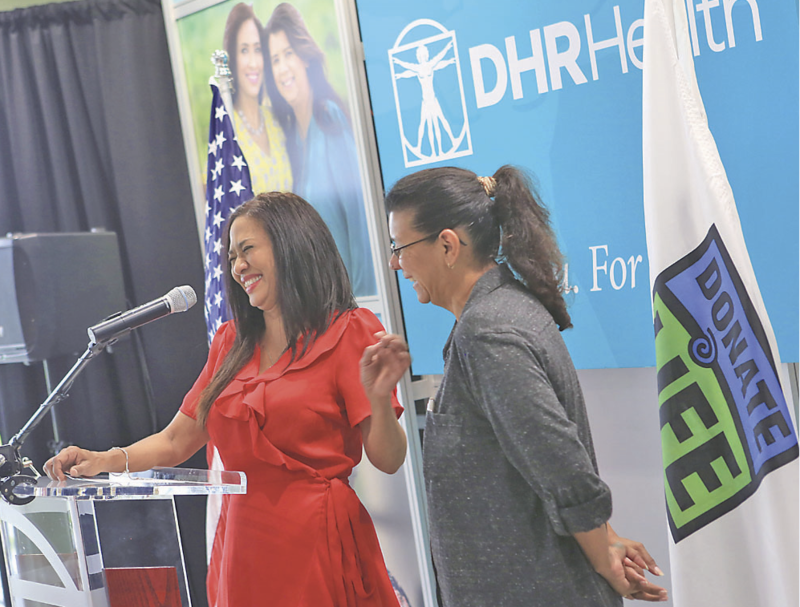 McALLEN — Doctors Hospital at Renaissance celebrated the grand opening of its Transplant Institute Wednesday, which is already providing life-saving services no other hospital south of San Antonio is offering. The new facility, located at 1100 E. Dove Ave., is home to the Kidney Transplant Center, Liver Specialty Center and the Hepatobiliary, Pancreas and Organ Transplantation Surgery Center. Physicians, surgeons and a highly skilled team of support staff have already successfully completed 14 kidney transplants and are hoping to complete one more before Friday, but not before marking the occasion with a ribbon-cutting ceremony for the new facility. There are about 30,000 people living with kidney disease in South Texas and about 5,000 of them require dialysis, yet just a few months ago, none of them could opt for a transplant near home. The institute changed that after receiving a perfect score on an evaluation from the Centers for Medicare and Medicaid and obtaining a green-light from the United Network for Organ Sharing. Mercedes Rivas is one of those patients. She received a kidney from her sister Maricela Atwater earlier this year. Rivas, whose story was featured in The Monitor earlier this year, said the transplant changed her life. Nothing compares to the comforts of being at home when you’re ill, said Carie Kadric, director of external operations for the Texas Organ Sharing Alliance. “With the opening of this facility, individuals and their families will be able to seek treatment here, locally, and have their life-changing surgeries within miles of their own home instead of having to go out to another area,” Kadric said. In order to do so, the hospital recruited physicians from across the country, focusing on kidney, pancreas and liver specialties. “We’re building a center for some of the most complex patients that come to a hospital,” said Philip Thomas, the institute’s primary transplant surgeon. Experience matters, and not just that of the physicians, he said. A transplant requires a team of highly-skilled and knowledgeable personnel that ranges from surgeon to dietician to caregiver. Doctors Hospital at Renaissance is currently working on obtaining permission to be able to perform liver transplants, which also constitute a big need for South Texas residents. In March the hospital recruited Rashmee Patil, a hepatologist or liver specialist, from Baylor College of Medicine to help expand services. “What struck me when I first walked through the building was how well thought-out it was,” she said. “I think that so much of success is driven by the vision and the intent behind what we create. Patil is currently working to expand research in the field of liver disease, working on several research projects on liver cancer and studying the epidemiology of chronic liver disease in collaboration with the University of Texas School of Public Health. “It’s clear that the vision behind the construction of this building and the development of this phase was that one day we would have not only a successful kidney program, but that this building would house a successful liver transplant as well,” she said.